For as Mr. Bennett puts it: Cows and pigs, crude or classy, Kids, grown-ups, we’re all . . . GASSY! 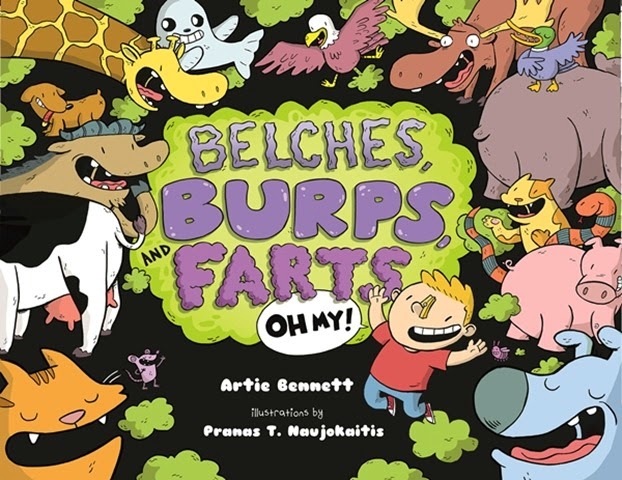 We've had the pleasure of reading all of Artie Bennett's books, and my son and I think they are a riot. This author has a way of taking a subject most would consider taboo, and he makes it fun for kids (and adults) to learn interesting facts about it, all with a fantastic sense of humour. The text is in rhyme and states the facts of life about why we burp and fart (yeah, we average fourteen toots per day!) all with scientific back-up and comical illustrations that are striking, colourful and loud. We learned about animal and human behaviour, and my son and I laughed so hard at some of the fart-astic facts and burp-tacular bits at the end of the book, like that of the silent-but-deadly fart and the "morning thunder" fart. This book is a great way to bond and have fun with your kids. Sometimes, as adults we tend to be too serious. 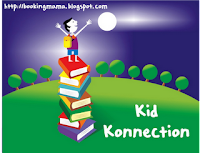 These subjects are popular with kids but not many books are written about them. I tip my hat off to those authors, like Bennett, who use their witty sense of humour to bring delightful books to children—books that celebrate the quirky, unique and sometimes embarrassing side to life. Note: This book is rated C = clean (but smelly) read. Here are other books by Artie Bennett reviewed and enjoyed by me and my son. 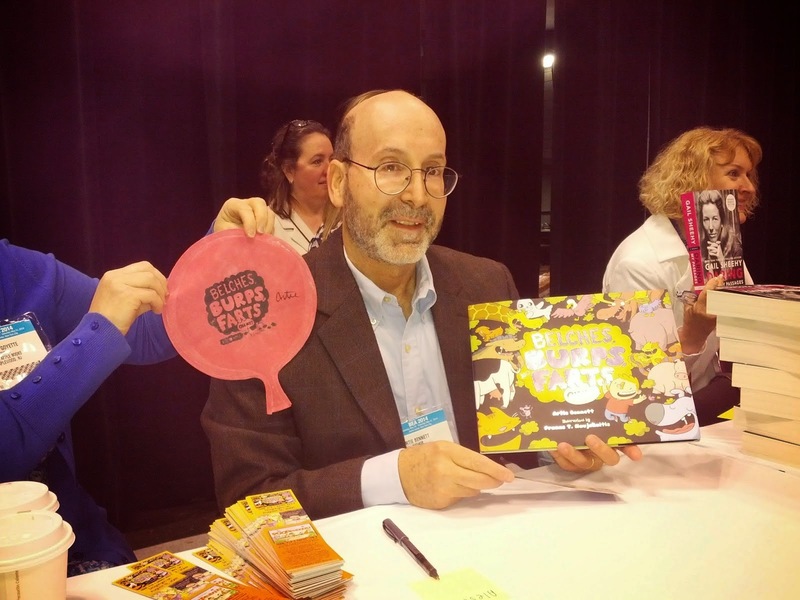 I met Artie at BEA 2014 where he was giving away signed copies of his book along with...you got it, a whoopee cushion! Brooklyn native Artie Bennett employed his signature goofy-meets-smart style to craft this hilarious ode to the burp, the belch, and that popular "Bronx cheer", the fart. A former professional crossword puzzle prodigy, Artie Bennett is now making a name for himself writing smart and funny books about subject matter that kids love to read about, and enhancing Brooklyn's reputation for producing an uncommonly high per capita of humorists. In his M-F life, Mr. Bennett is an executive copy editor at a major children's book publisher. In his spare time, he collects words. Disclosure: Thanks to the author for giving us this book for review. We were not compensated in any other way, nor told how to rate or review this product.